PayPal has three types of accounts to accommodate everyone from the casual eBay seller to the professional business: Personal, Business, and Premier accounts. 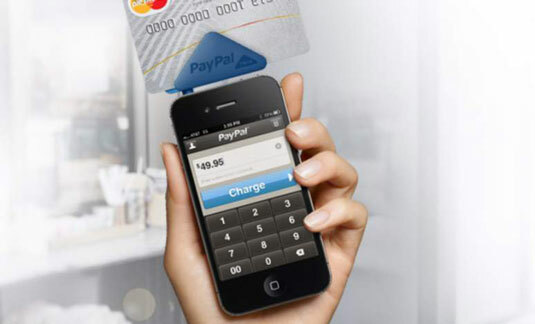 The smart folks at PayPal have developed something for everyone. The PayPal accounts for the professional seller (Business and Premier) allow you to accept credit card payments, get a debit card, and participate in PayPal’s high-yield money market fund. A Premier account is held in an individual’s name; a business account can be held in a business name and allows multiple login names. At these account levels, you have access to a customer service phone number. A fee is levied on all money you receive through PayPal at this level. PayPal has a standard rate and a merchant rate. The merchant rate has three tiers, based on your monthly sales volume. When you open your account, you’re charged the standard rate. After your sales reach more than $3000 per month through PayPal for three consecutive months, you can apply for a merchant account. Standard Up to $3,000.00 2.9% + 30¢U.S. Merchant From $3,000.01 to $10,000.00 2.5% + 30¢U.S. Merchant From $10,000.01 to $100,000.00 2.2% + 30¢U.S. Merchant Greater than $100,000.00 Call PayPal at 1-888-818-3928. Note: If you receive payment from a buyer in another country, you are charged a 3.9 percent transaction fee, plus a fixed fee based on the currency received.